Linda Laderoute joined Mo-Kan Regional Council in September 2018. Linda’s planning experience includes grant writing, grant administration, hazard mitigation, economic development, publications production and other community projects. Prior to moving to St. Joseph in 2000, Linda lived in Boxford, Massachusetts, serving town government on the Personnel Board, Conservation Commission and Planning Board. Her work history includes gas and electric utility industry consulting, energy conservation auditing, lecturing, event planning, and non-profit program administration. 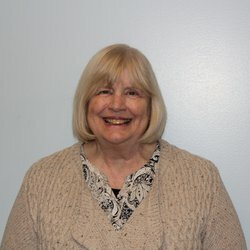 Linda holds a BA degree in Geography and a graduate Certificate in Supervision and Management from Sonoma State University, Rohnert Park, California.